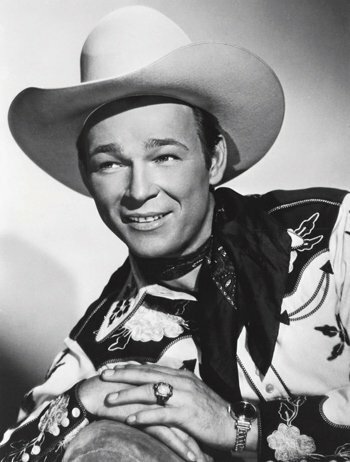 Celebrate Roy Rogers' 100th Birthday with the Depot Community Room's "Happy Trails: A 1950's Cowboy Christmas"
Do you remember waiting eagerly every Saturday for the” Roy Rogers Show”? Were you unable to sleep on Christmas Eve, hoping Santa would bring you the cap gun and holster on your wish list? Then the Community Room’s new exhibit “Happy Trails: a 1950’s Cowboy Christmas” will take you on a trip down memory lane! Now through the end of December, the Community Room will have on display items that would have been on the wish list of any girl and boy in 1950s Henderson. The display focuses specifically on the height of the singing Cowboy craze, when every little boy wanted his own six-shooter and every girl wanted an outfit just like Dale Evans. View the Cowboy Christmas tree as you listen to Gene Autry sing your favorite Christmas songs. We will also air radio shows and the popular television series starring Roy Rogers and Dale Evans. The Community Room is located inside the Depot on the Henderson, Ky., riverfront and is open from 10 a.m. to 4 p.m. Monday through Friday and from 10 a.m. to 2 p.m. on Saturday. The Community Room is funded by the City of Henderson through the Henderson Tourist Commission.